mario and luigi get thier plumming kikd!!. sonic n team kiks marios asz. HD Wallpaper and background images in the Super Smash Bros. Brawl club tagged: super smash bros. brawl. Mario BELLA! Luigi HELP! Bella LEAVE THEM ALONE!!!! SONIC,SHADOW,& SIVER why? (Bella gets Smash ball.) Bella FINAL SMASH!!! (looks at SONIC,SHADOW,& SIVER with red eyes.) SONIC uh Bella? (she walks up 2 them kicks them and they go flying. Her go bak 2 normal looks at the stunded Mario Bros.) Bella thats why. 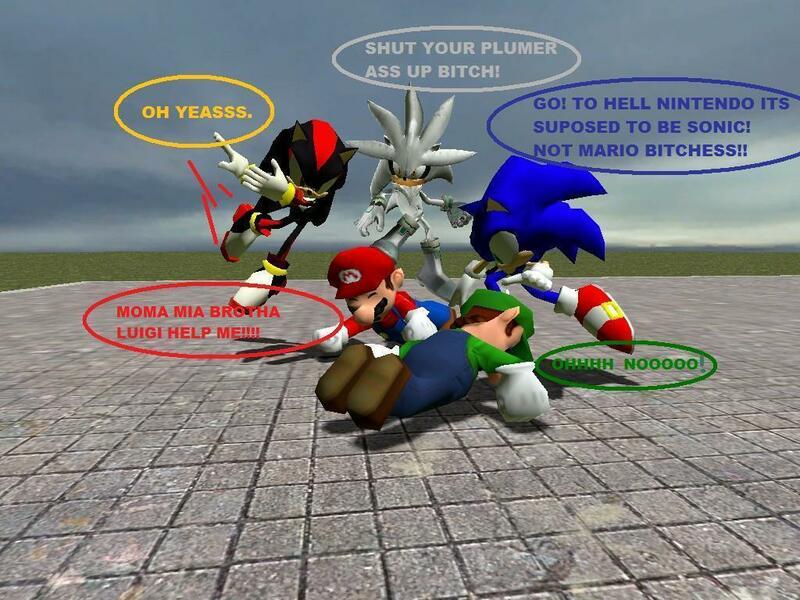 I hate Sonic and I LOVE Mario! This picture is stupid! @LuigiBella Who in the world is Bella?